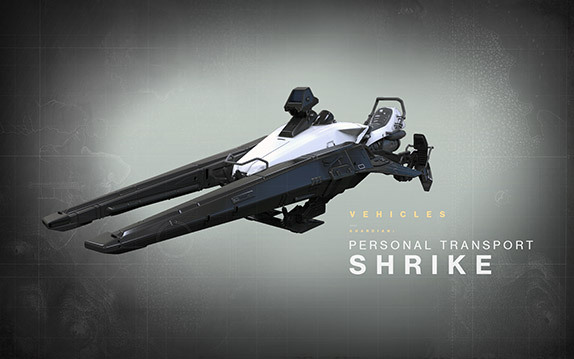 Bungie has released images and details on the Shrike, one of the drivable vehicles in Destiny. 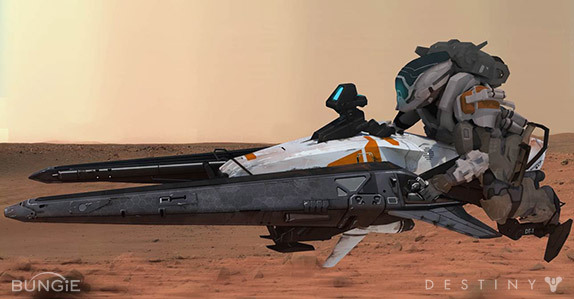 The Shrike is a one-man vehicle that players can use to quickly reach their next mission. It's a very bare bones vehicle. There's an engine, a seat, and a couple handles. On the bright side, the lack of weapons and armor means it's extremely fast. "The ability to summon a vehicle on demand turns you and your friends into a futuristic biker gang,” Destiny art director Tom Doyle said on the Bungie website. "Getting from point A to point B should be fun… not a menu option." I have mixed feelings about player vehicles. On the one hand, it's nice to be able to zip around a game world quickly. On the other hand, I've always been a fan of instant quick travel. I just hope the rides between objectives are short and eventful. The Shrike has one of three different paint schemes depending on your character's class. The paint job will change over time as well as you rack up experience in the game. It's not clear whether the Shrike gets any non-cosmetic upgrades, though. Maybe not, considering the fact that it's built for quick transportation alone. 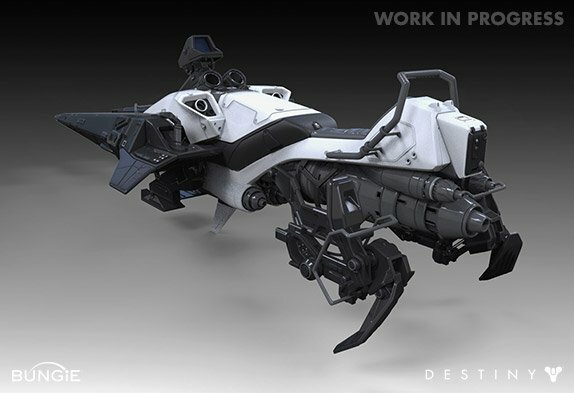 Bungie will offer players other vehicles as well. The very first concept art revealed another land-vehicle called the Pike. The Pike looks large enough to accommodate weapons but Bungie hasn't said much about them. All we know thus far is that it's made by the Fallen, one of the alien races you'll fight in Destiny. The development team said they'll announce details on other vehicles in the game soon. They warned that everything they show is subject to change, though. Destiny won't be out until September so the game's going to undergo plenty of revisions before then. 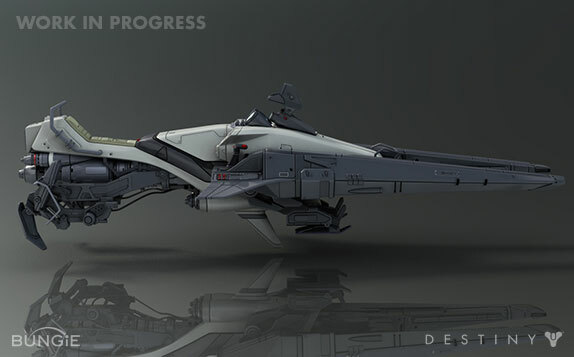 For example, the Shrike was once called the Sparrow. I wouldn't be surprised if they change the Pike's name now so the two vehicle names don't rhyme. They don't want things to be too easy for Destiny rappers, do they? Destiny is in development for Xbox 360, PS3, PS4, and Xbox One. The beta test is scheduled for this summer. PS4 and PS3 gamers will get a period of early access to the test.